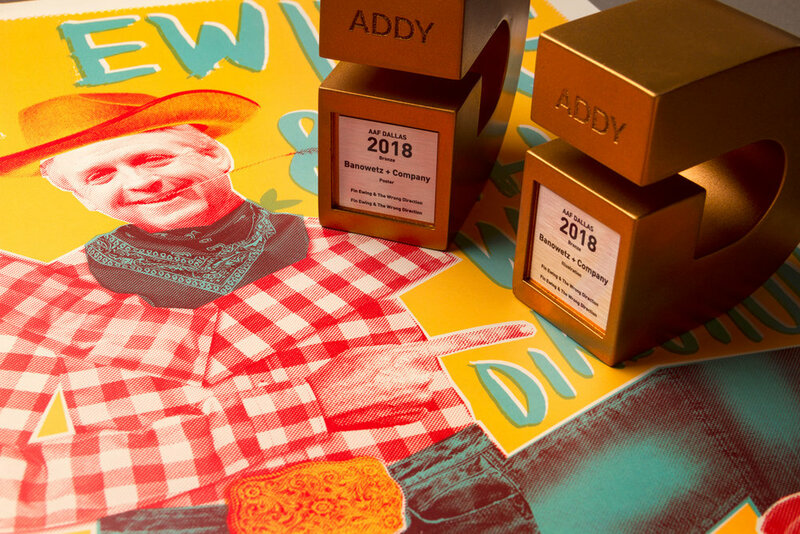 Team Banowetz Claims 15 Addy Awards! 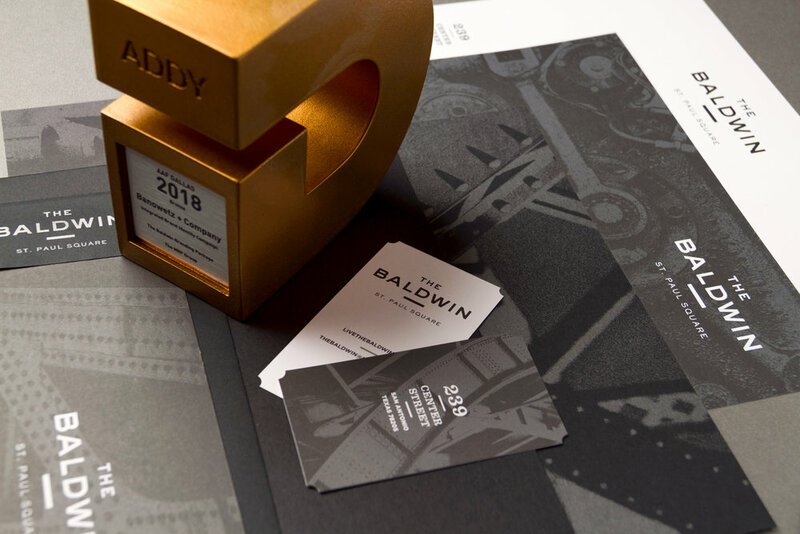 The Banowetz + Company crew recently had an exceptional evening at the 56th AAF Dallas American Advertising Awards ceremony, also known as the ADDYs. 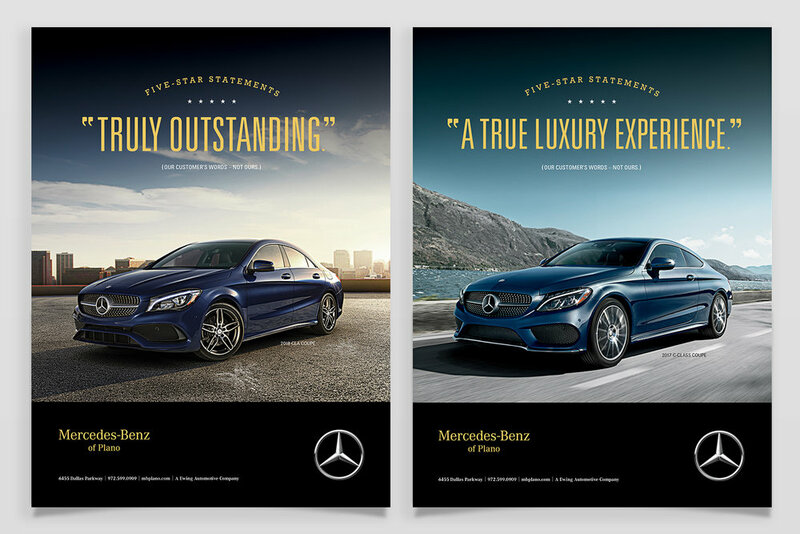 Each year, work by the city’s most creative agencies is selected and recognized in a broad range of categories. 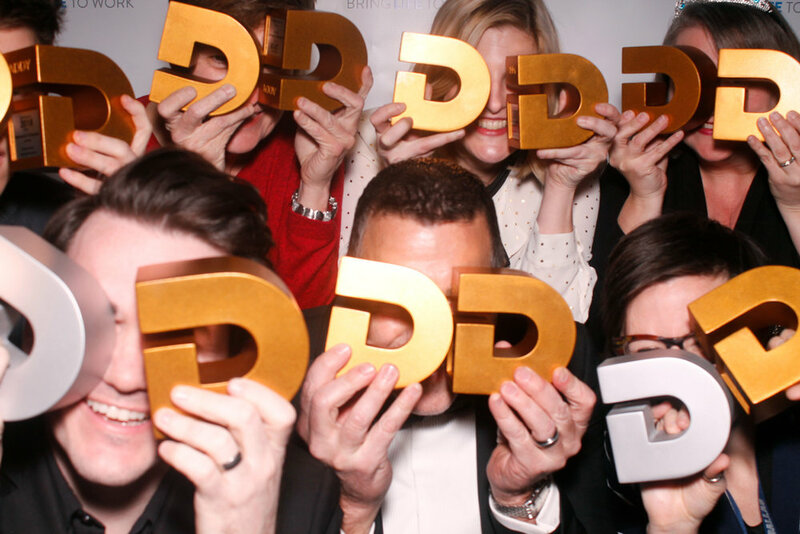 Winners this year brought home newly redesigned “D” shaped trophies symbolizing their status as the best in Dallas. Banowetz was honored with a total of 15 awards for the work featured below. Leon Banowetz, Executive Creative Director. Ryan Bailey, Creative Director. Lily Smith+Kirkley, Senior Designer. Wes Phelan, Senior Designer. Leon Banowetz, Executive Creative Director. Ryan Bailey, Creative Director. Wes Phelan, Senior Designer. Leon Banowetz, Executive Creative Director. Ryan Bailey, Senior Designer. Leon Banowetz, Executive Creative Director. Ryan Bailey, Creative Director. Nicholas Begley, Junior Designer. Leon Banowetz, Executive Creative Director. Ryan Bailey, Creative Director. Lily Smith+Kirkley, Senior Designer. Leon Banowetz, Executive Creative Director. Ryan Bailey, Creative Director. Lily Smith+Kirkley, Senior Designer. Nicholas Begley, Junior Designer. Kris Murphy, Writer. Lisa Foote, Production Artist. Leon Banowetz, Executive Creative Director. Ryan Bailey, Senior Designer. Lily Smith+Kirkley, Senior Designer. Leon Banowetz, Executive Creative Director. Ryan Bailey, Creative Director. Lily Smith+Kirkley, Senior Designer, Illustrator.